The heat mat WORKS! Ridiculously well, so well in fact that I’m definitely buying a second one next year. 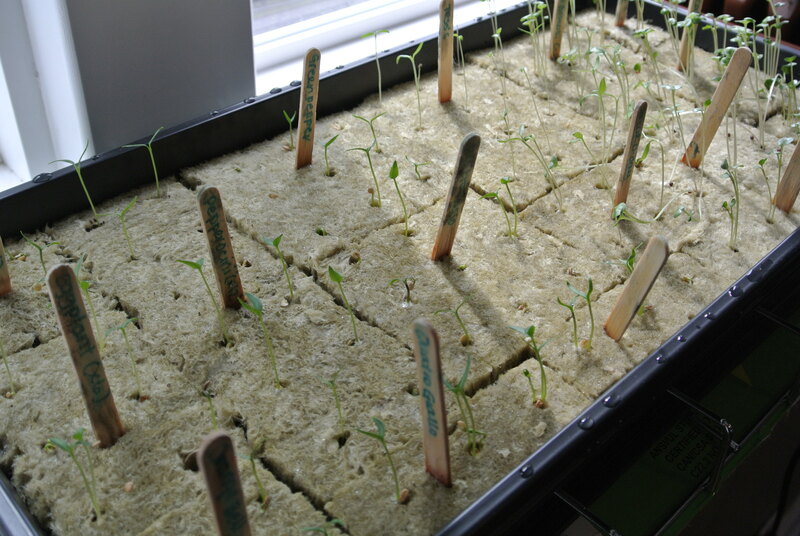 I’ve had the batch 2 of my seedlings going since 3/20 – it’s now 10 days later and everything seems to be growing strong! You may notice that I also started some other stuff in the seed plugs including eggplant, broccoli, kale, and cabbage. Broccoli and kale don’t really need heat to germinate but it seemed to work for them!